We’ve never been good at the Easter Bunny. Two years ago, I went to the backyard to hide eggs during Sam’s nap. Halfway through, I looked up to see him staring at me through the window. 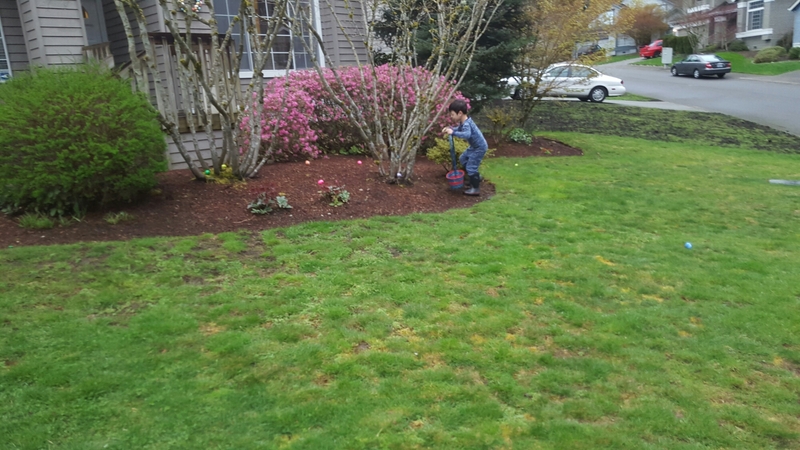 Last year, we hid eggs but made no mention of the Bunny. This year, when Sam woke up and saw his basket, he asked if we bought it for him. I said yes. 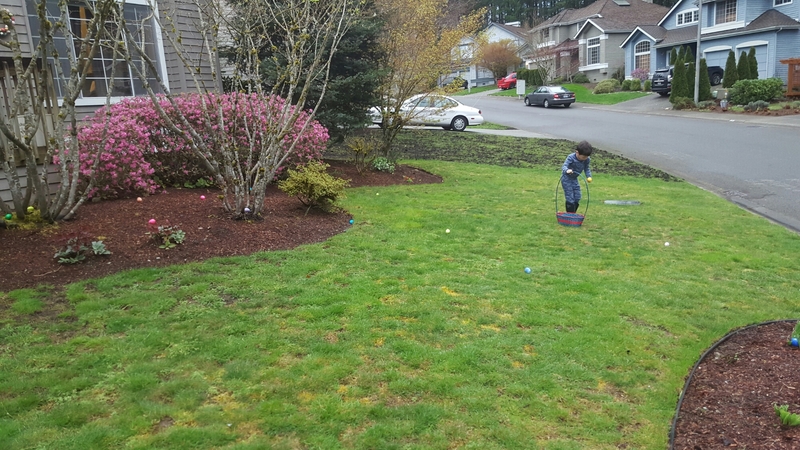 We got up, played with a couple of toys, and then I told him that I needed to take all of the eggs outside to play Easter Bunny. 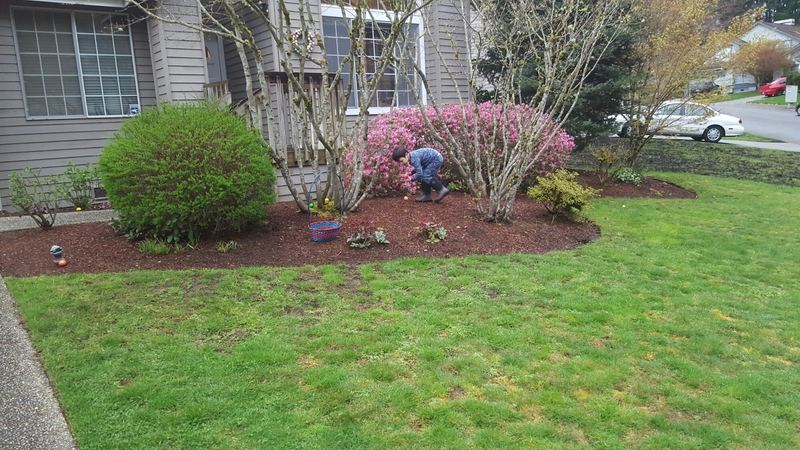 I hid the eggs, and then came inside and said, “the Easter Bunny has been here!”. 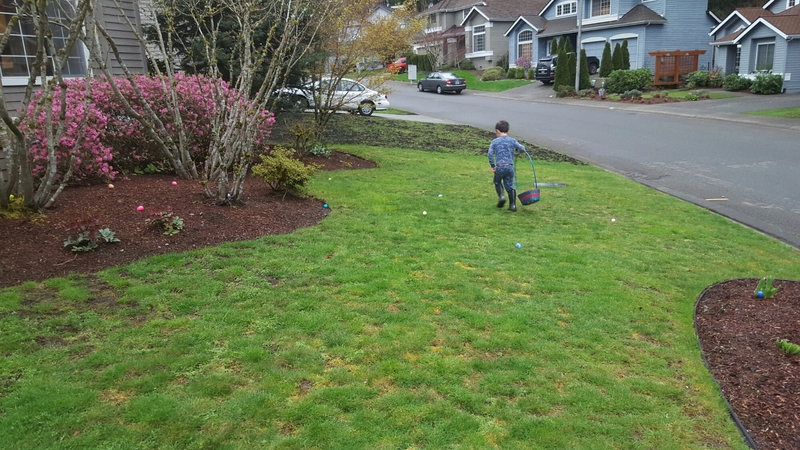 Sam just looked confused and asked, “who’s the Easter Bunny?” Sam went out and hunted for eggs. He had a great time, as always. So that’s it. The Easter Bunny just isn’t happening around here. 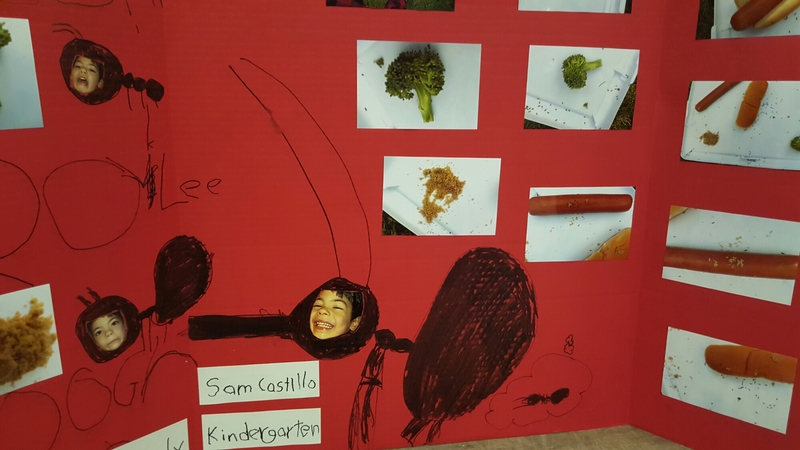 Thanks to the zoo’s Bug Club, Sam has developed a love for insects. 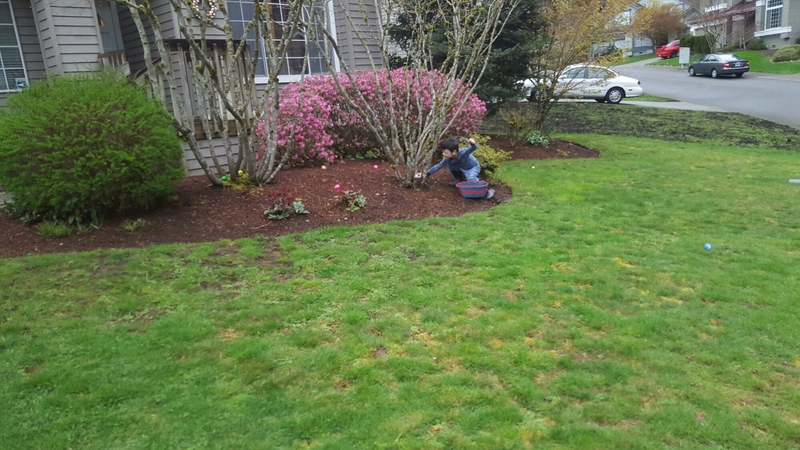 He recently told us that he’d like to be an entomologist when he grows up. 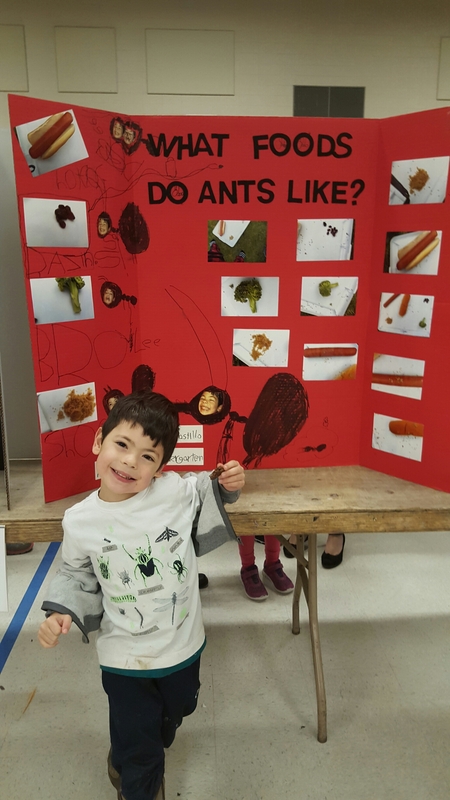 So it made perfect sense to devote his first science fair project to his favorite insect, the ant. 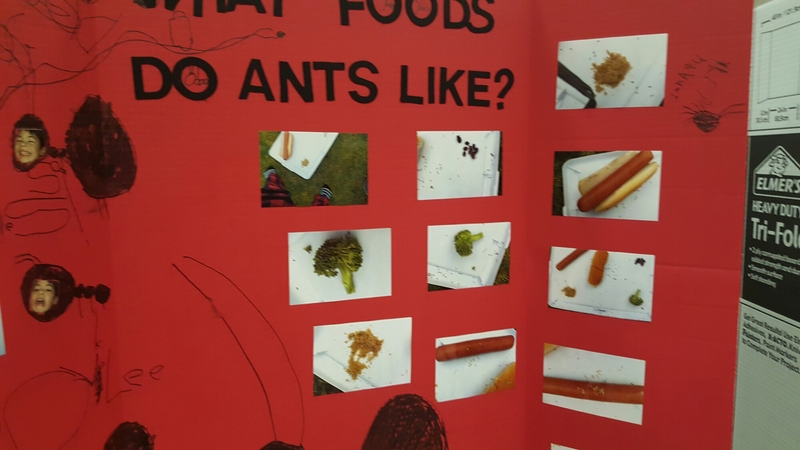 Sam wanted to know if ants would rather eat hot dogs, broccoli, sugar, or raisins. We captured some ants and put them on a platter full of these foods. 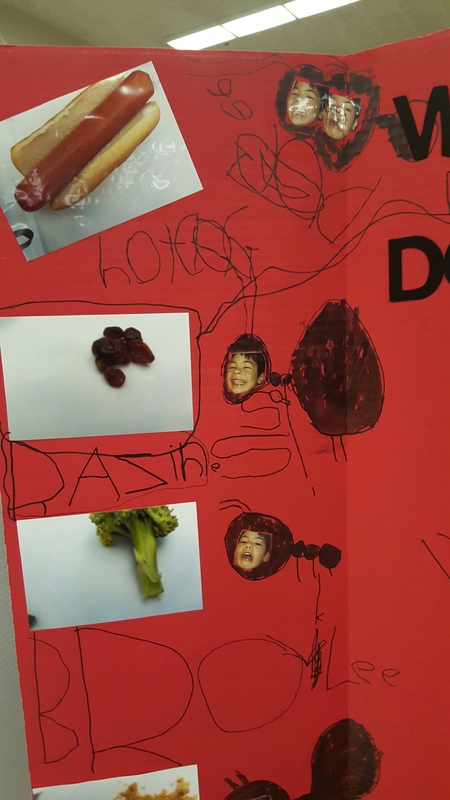 Sam’s hypothesis was that the ants would love the sugar and raisins, hate the hot dog, and think the broccoli was just OK. 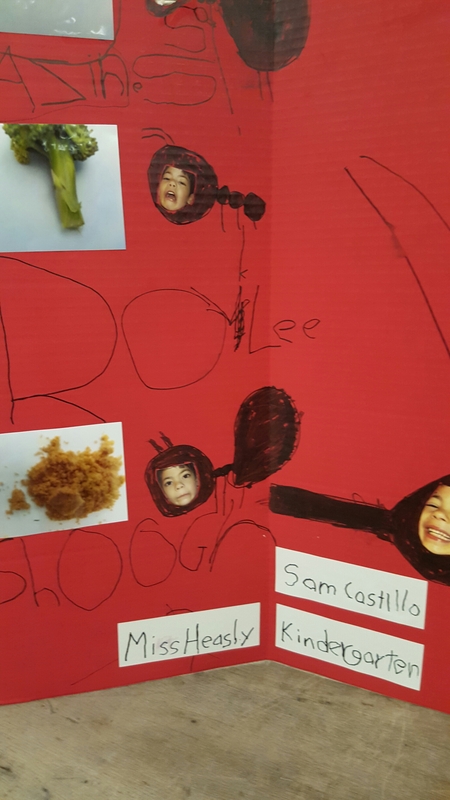 The result was that they loved the raisins and hot dog bun, hated the broccoli, and thought the sugar was just OK.
Sam had fun making his poster. He really wanted to make it his own. I love how creative it was! The school science fair is a noncompetitive event, but there are still judges. The kids have to tell the judges about their experiment and answer questions. 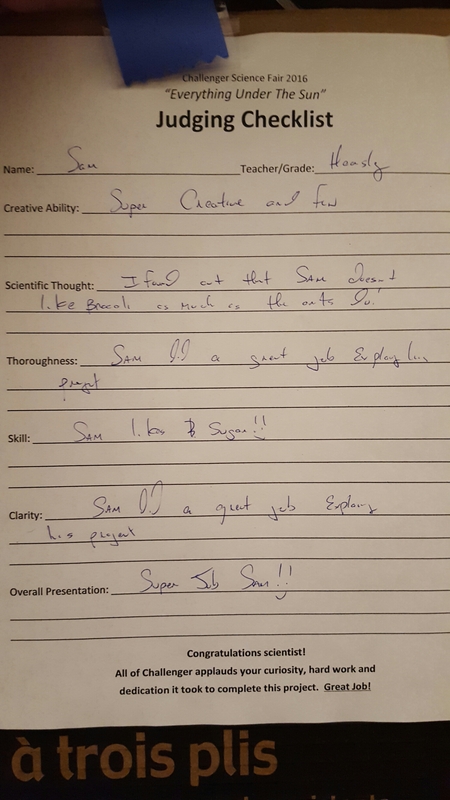 The judges find something nice to say about each project.